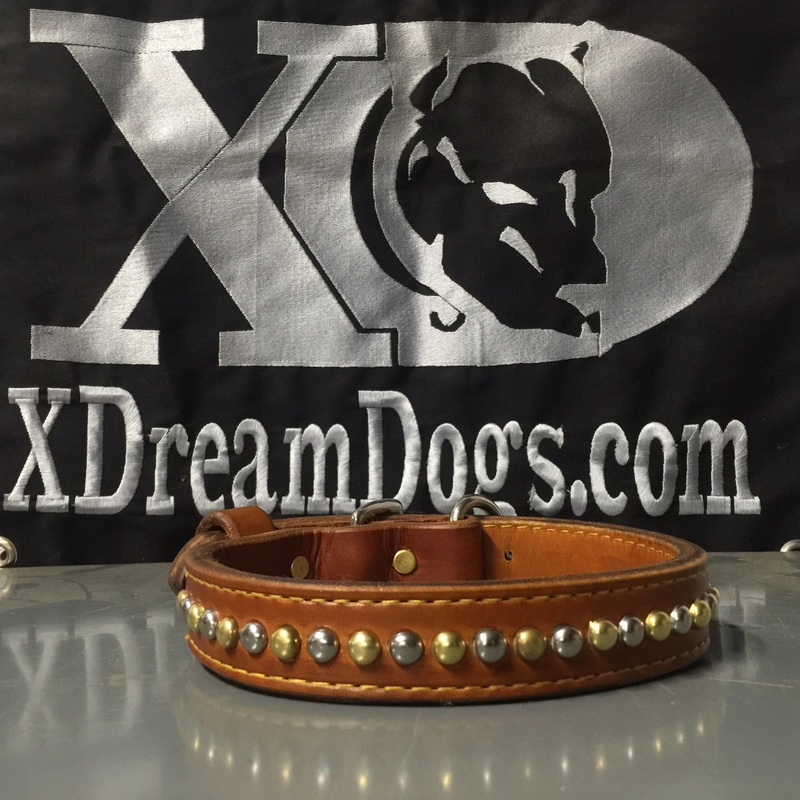 1″ Latigo Leather 2 ply Collar with Stainless Steel hardware, solid brass and stainless steel spots. Neck size is adjustable. Click here to view stitching colors. Width Choose an option… 1"1.5"2"